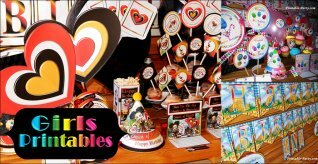 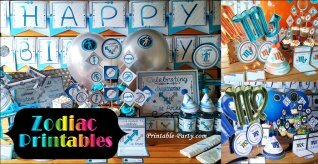 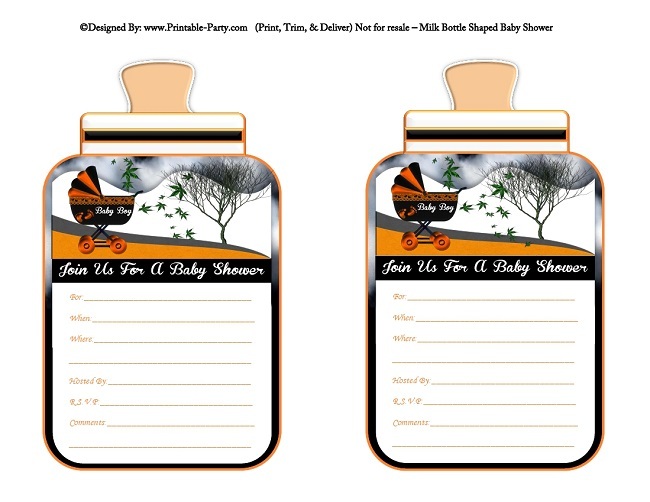 What Invite Design Do You Find Fab For Your Baby Shower Celebration? 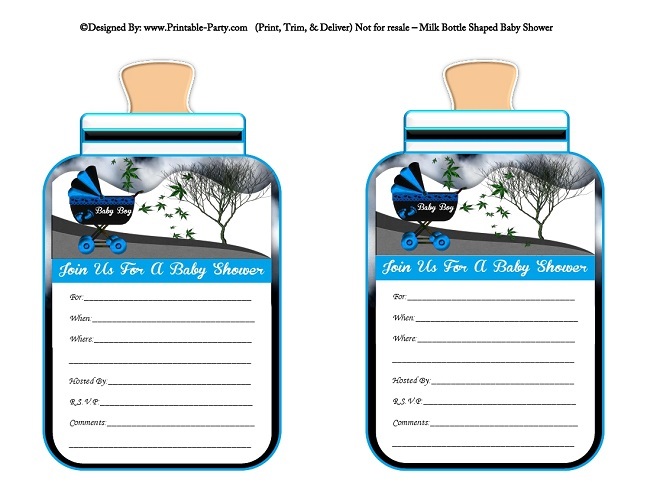 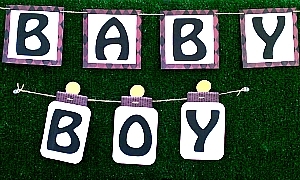 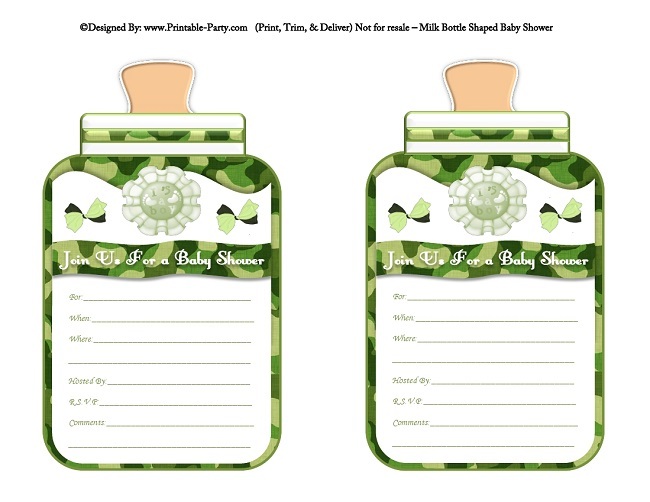 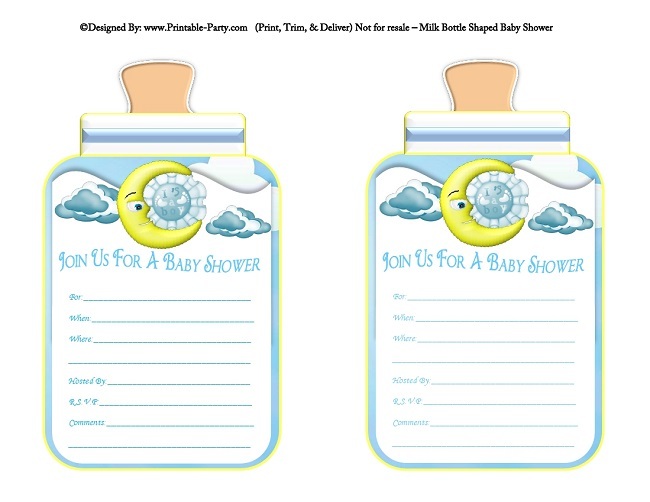 Boy printable bottle baby shower invitations come in a variety of fabulous styles & colors. 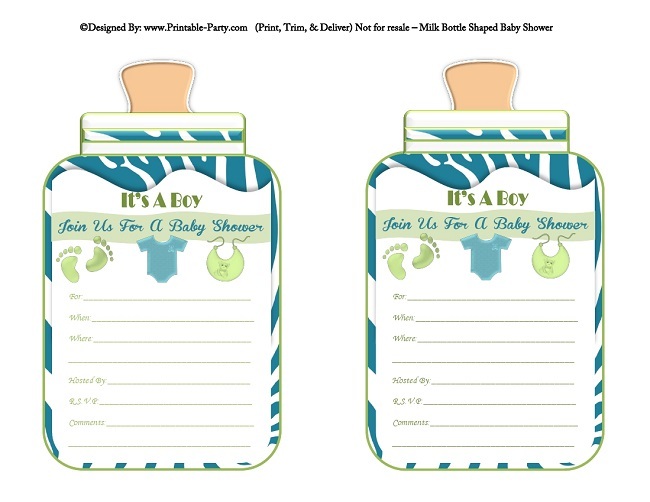 Our modern baby bottle shaped invites can only be found here exclusively. 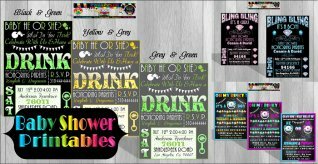 We create these invites in multiple patterns & themes that are chic & fab. 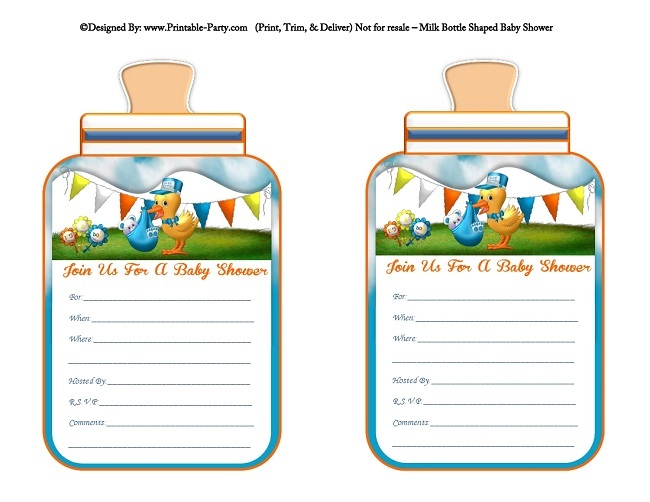 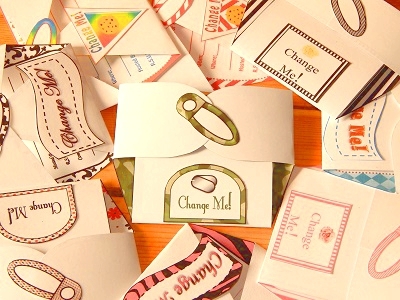 Bottle shaped invites can be trimmed out with ease by using a sharp pair of scissors. 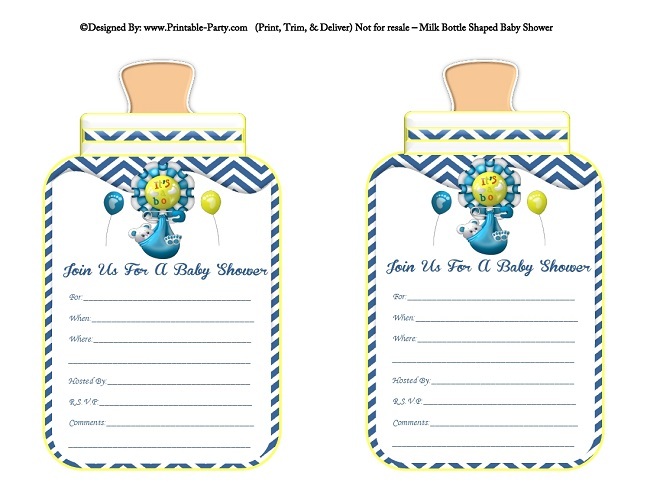 These invites are made for you to be able to hand write your baby shower celebration details in the designated areas. 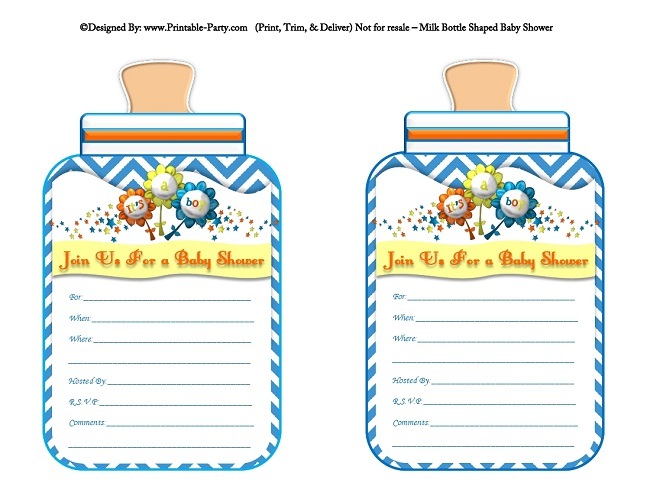 You can also add your party details into the text fields digitally by using the Free Adobe PDF Reader program. 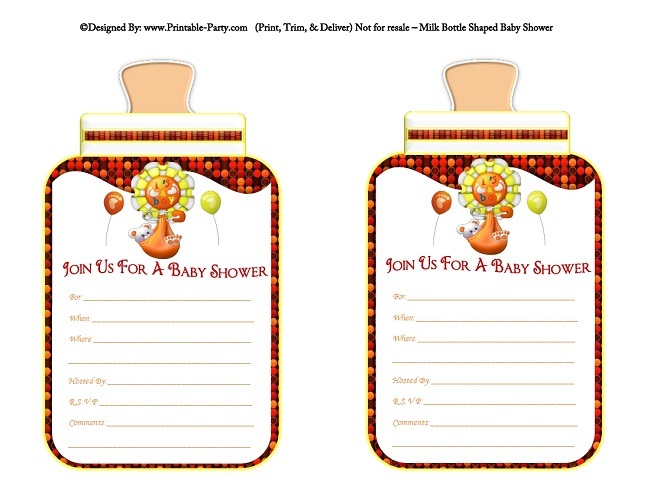 There are two 5x7 inch invites per printed page.Invites look best printed on thickest card stock paper. 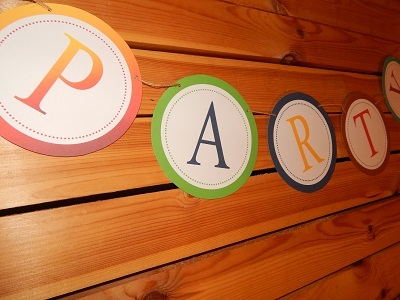 We use 8.5x11 inch 110lb flat white card stock paper when we print orders & setups. 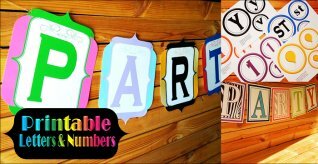 Downloadable Orders Become Available Instantly After purchasing & Orders Are Also Sent Straight To Your Valid Email Address. 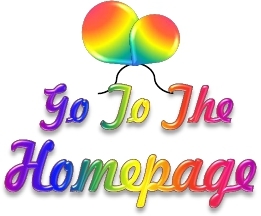 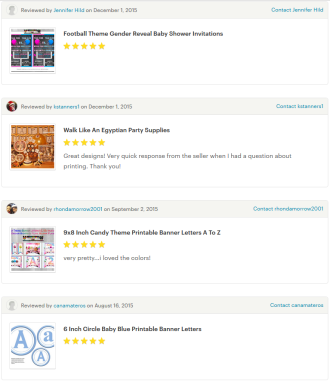 You'll be able to print all of the pages in your purchased printable files over & over again or year after year. 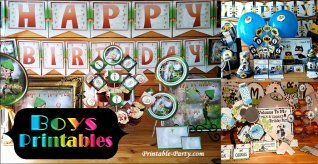 Simply download your order & save to keep the files safe on your computer or digital storage device. 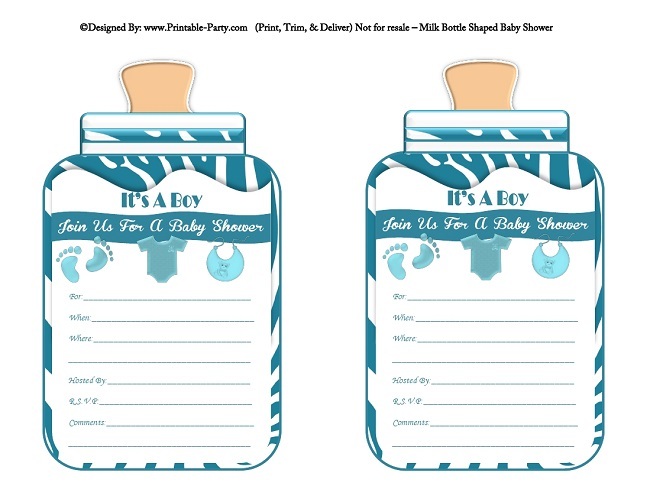 Would You Like To See More Baby Shower Printables?